When I came up with this little project, I had no idea how much fun it was going to be. More importantly, I had no idea how inspired I would be from it. Believe it or not, I kind of think my blog might have begun to found it’s stride this week . I have to admit, after reading all the fabulous posts by Jordan, Molly, Nikki, Maggie and Elisa, I was really nervous to start writing. What direction should I go? Well, I started think about some of the women that inspire me. I just couldn’t pick just one. I realized rather quickly that I am inspired by different women every day for different reasons. There is only one solution. I am going to have to make this a weekly feature. I’d love to feature other bloggers too, so don’t be shy if you want to share! I learned a lot this week. Each post was so unique and so perfectly showed exactly why I asked each of them to contribute. Throughout the week, I was finding myself motivated by women. I mean let’s face it we’re awesome. Here are some of the incredible women that have inspired me this week. “When I was younger I had these enormous vanities about what I expected from myself. This week I watched Father of the Bride 1& 2 and Something’s Gotta Give. If I had had Because I Said So and The Family Stone within reach, I would have watched them too. What do all these movies have in common? You guessed it, Diane Keaton. Keaton has consistently chosen roles depicting free spirited women. These characters have all had to face struggles, but found the strength they needed, not just to get through something, but to find success and even themselves in the fight. I mean seriously, First Wives Club, Annie Hall and all the rest, are great movies about women and how we stay strong even amidst chaos. She makes all these characters amazing with their subtle strength and perseverance. Diane doesn’t just inspire me in her roles, but in her life as well. The woman dated Woody Allen and Warren Beatty, but never married. She said it never felt right. She adopted two children later in life and cherished being a mother. This week Diane inspired me by reminding me that I can live the life I want, not the one I am “supposed” to live and her characters inspired me to remember that every struggle will build character and strength. little senescence. Muscle tightening is not the only thing that happens to our bodies over time. Maybe at first you didn’t recognize this incredible woman. You have probably seen her more often in a swimsuit and a swimmers cap or loaded up with Olympic medals. With the Summer Olympics right around the corner, I have seen a couple of stories about this extreme athlete. I mean for one, this woman has competed in five, yes I said five, Olympic Games since 1984. If you are doing the math in your head right now, then you know that means she has been an Olympian since before I was born. She’s won 12 medals, three of which were in Beijing in 2008, when she was 41 years old, the oldest swimmer ever to have a place on an Olympic team. SAY WHAT?! Oh yeah, and she won a gold medal at the US Nationals just 15 months after having a baby. Is she even human? Now she is attempting to qualify for her 6th Olympic games at 45. I hope she does. This week Dara inspired me to never give up no matter how many people tell you you’re crazy and do what you love. Technically, my Sophia Grace and Rosie obsession started last week, but their impact is still with me. Okay, lets first talk about the serious set of balls Sophia Grace has. She’s 8, rocking a tutu and belting out songs… on Ellen. Girlfriend is freaking fearless! She loves life and thinks everything is “Sooooo good”. She is just a positive little bubble of talent. Then we have Rosie. She doesn’t talk much, but little miss thang can wiggle. She knows what she does best and she owns it. P.S. if you can make a career out of being a “hype girl” at age 5, you are my dream realized! This week Sophia Grace and Rosie inspired me to love life and do what I’m good at without fear. Oh, and that I need to figure out a way to have British children so that they turn out this stinkin’ delicious. Thanks for joining me this week. 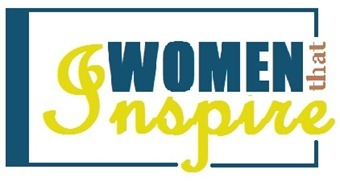 Be sure to check back on Wednesday when I official kick off my first week of Women That Inspire Wednesday! 1) I FREAKING LOVE DIANE KEATON…I totally agree on the consistency of her (amazing) roles. PS Family Stone is the best movie ever. 2) Okay 15 months after having a baby? That's like how Heidi Klum was back on the VS runway like 6 wks after hers. Craziness! 4) SO EXCITED ABOUT WTIW!! !